For many communities in Alaska, the marine highway system is a vital part of transportation. More than a decade ago, the state decided to add two new boats to the fleet. The Alaska Class Ferries were envisioned when plans for the Juneau Access Project were being finalized. They would service Upper Lynn Canal as shuttle ferries. But through several administrations, those plans have changed a lot. 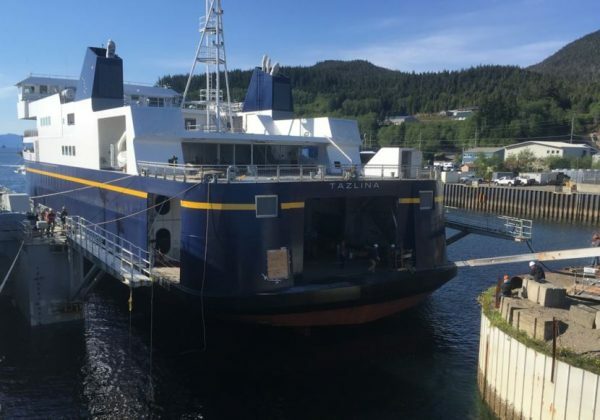 Now, the Anchorage Daily News reports, an additional $30 million is needed before the Hubbard and Tazlina ferries can start sailing. Alaska Public Media’s Abbey Collins spoke with the ADN’s James Brooks about the situation the state is in, and what could have happened if different decisions were made early on. James Brooks is a reporter for the Anchorage Daily News. He’s based in Juneau.